Honorees in attendance. Photos courtesy of Sistahs-On-Campus taken during the opening reception on Friday evening. 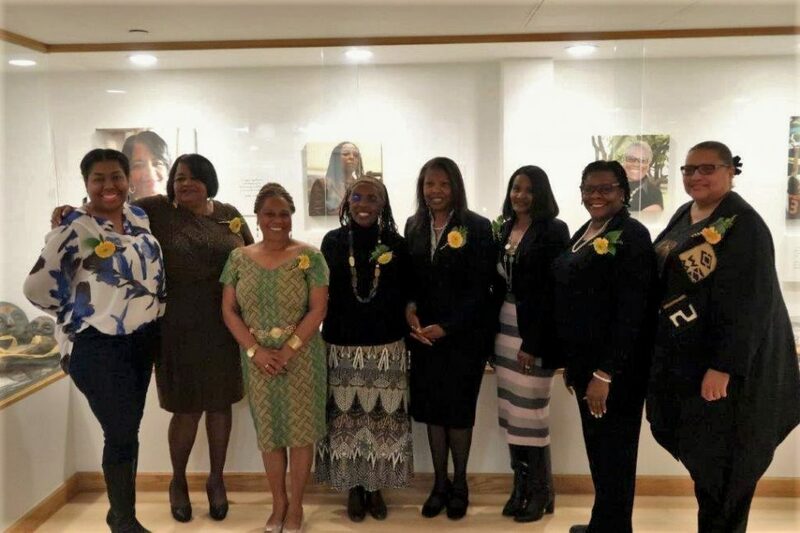 Sistahs-On-Campus (SOC) opened its inaugural art exhibit, “Nevertheless she persisted…”, at the Bayshore Beach Art Gallery on Friday to showcase the extraordinary contributions of African American women to the Cal State Long Beach (CSULB) campus and community. 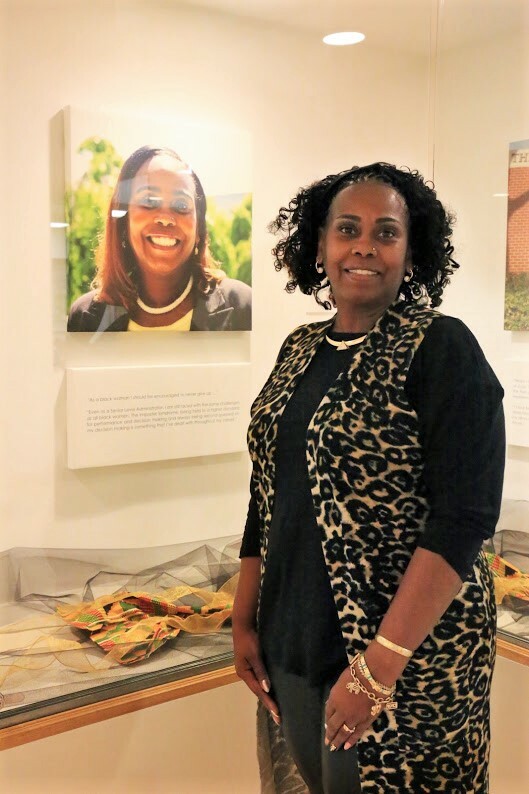 SOC was established in 2016 to create a network of support and empowerment for CSULB staff who identity within the spectrum of the African diaspora, said Terri Armstrong, who headed the exhibit for SOC. Close to 100 African American female staff members make up the group. “The group’s goals are simply to connect with new and current staff on campus and to share information on campus happenings and upcoming events,” Armstrong added. Honoree Dr. Carmen Taylor, Vice President, Division of Student Affairs standing in front of her portrait during the opening reception. 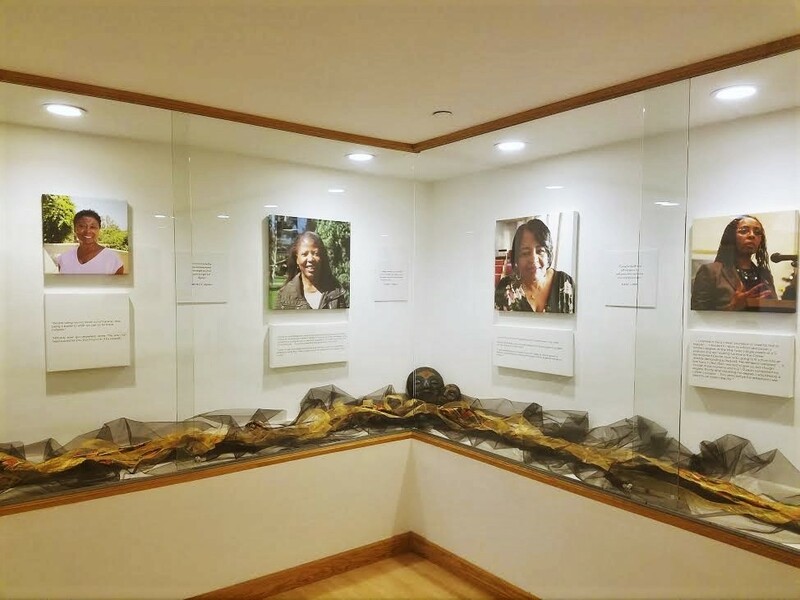 “Nevertheless she persisted…” features photographic portraits of honorees that were nominated by SOC for their contributions to the community and in athletics, emeriti contributions, in memoriam (contributions of those who have passed away) and current contributions, placed alongside quotes that share their stories. “Nevertheless she persisted…” runs through March 9. For more information, visit the calendar listing here.